Future of the series: Even at the age of 80, it appears that Elkins has not retired as he is still actively writing along side his wife Charlotte Elkins. Elkins released the latest Gideon Oliver novel on 2/16/16 entitled Switcheroo. 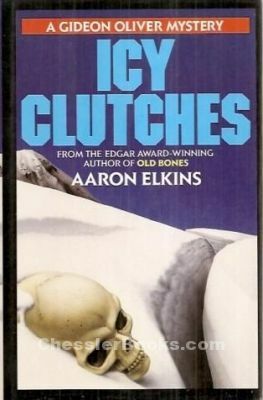 Aaron Elkins’ Gideon Oliver series had been around for over a decade before Patricia Cornwell wrote her first forensic thriller, Postmortem. So how come his novels are not topping off the New York Times best seller list or having the same celebrity status as Cornwell? I have a couple of theories on this. 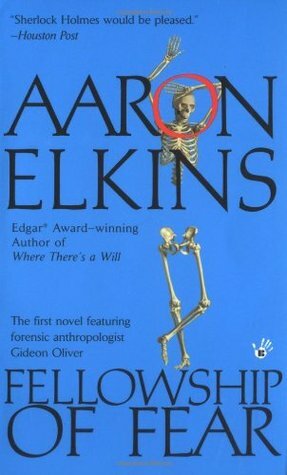 For one, Elkins first novel in the series, The Fellowship of Fear, is actually not very good. It was written as a cold war action thriller with the typical cloak and dagger/spy scenario which for that time era would normally be great, but it wasn’t right for the character Gideon Oliver. 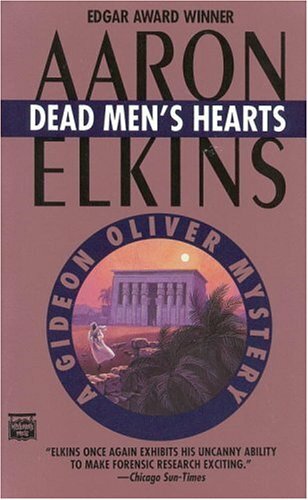 Gideon Oliver, like Elkins, is a physical anthropologist and Elkins portrayal of him in the first novel just didn’t seem right. Oliver had a number of action scenes that involved fist fighting and one love scene that just seemed totally awkward. 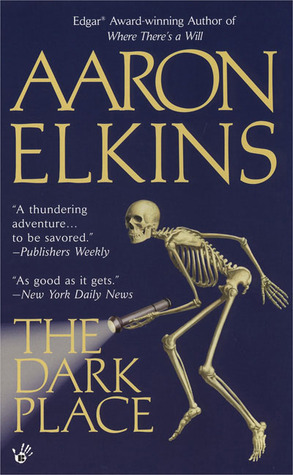 Fortunately, Elkins seemed to figure that out, because the second novel, The Dark Place was a huge improvement. For in that novel, Oliver meets his future wife Julie, who becomes his voice of reason throughout the rest of the series and also shows more of his talent as a physical anthropologist which would eventually get him labeled as the “skeleton detective”. 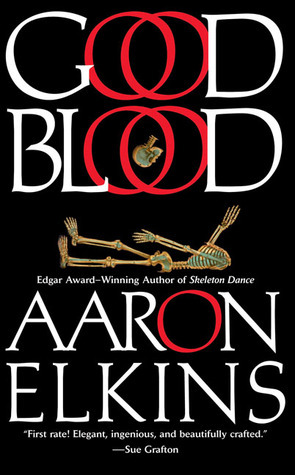 Elkins’ novels are closer to a mystery than a ‘sitting on the edge of your seat’ thriller and the violence and gore is considerably more subdued in comparison to many thrillers, which is not a bad thing at all, but it may not attract the larger audience that Cornwell gets. Gideon Oliver is a very likable character with a nerdy sense of humor and has the extreme curiosity that one would expect from a physical anthropologist. Luckily for us forensic thriller groupies, Elkins is still writing with his latest novel, Switcheroo, that came out in 2016. 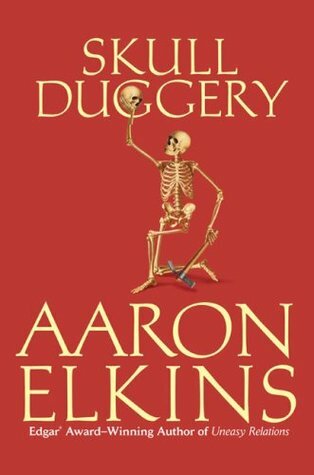 I hope Elkins continues the series because I am sure looking forward to the next novel. 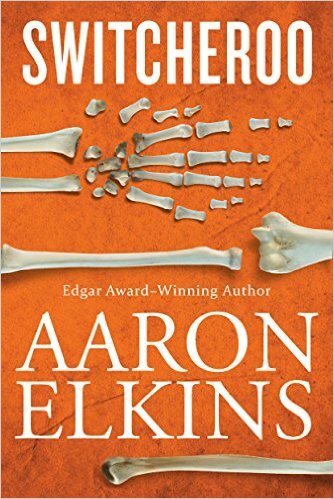 The fact that Elkins finds exotic places to set the scene, as well has his tremendous insight into forensic anthropology, this series proves to be a good if not great read. Though this series should probably be read in order, it is better than many series if you want to read some of the novels as standalones. 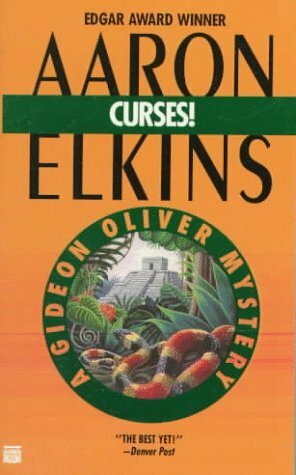 Most Favorite Novel in the Series- Curses!, because I enjoyed the chemistry brewing between Gideon Oliver and the investigating officer, Javier Marmolejo (who also makes an appearance later in Skullduggery). Least Favorite Novel in the Series- Fellowship of Fear, because it is Elkins first Gideon Oliver novel which was difficult to follow and just wasn’t the right setting for Gideon Oliver. What about the science?- Like Kathy Reichs, Elkins is a highly trained physical anthropologist, so the science is sound. The science is in the area of skeletal anatomy. The Gideon Oliver Technical Word in Review- Brachycephalic– usually defined as “short-headed” or sometimes flat-headed. For example, Pugs are considered to be a brachycephalic dog. “Um whom?” Harvey chewed on the corner of his lip, wiped sweat from under his collar with a handkerchief, and timidly took the skull, being careful to cradle it in his palms in the approved manner. No fingers in the eye sockets. “There are a lot of things interesting, really”, he said, buying time. “It’s on the small size, and definitely brachycephalic, although not as much as the cranial deformation makes it look.” He darted a look at Gideon to see if he was on the right track and received a noncommittal nod. The he glided his stubby, nail-chewed fingers lightly over the surface as Gideon had taught him to do. “The, uh, superior and inferior nuchal crest are poorly developed, and the temporal lines…”-Curses! Gideon Oliver: A professor of physical anthropology who “just happens” to find himself getting involved with a murder investigation while he is on vacation, at a scientific meeting, or even on his honeymoon. John Lau: Is an FBI agent of Hawaiian descent and is Oliver’s investigating sidekick and friend for many of the novels in the series. When anthropology professor Gideon Oliver is offered a teaching fellowship at U.S. military bases in Germany, Sicily, Spain, and Holland, he wastes no time accepting. Stimulating courses to teach, a decent stipend, all expenses paid, plenty of interesting European travel . . . what’s not to like? It doesn’t take him long to find out. On his first night, he is forced to fend off two desperate, black-clad men who have invaded his Heidelberg hotel room with intent to kill. And then there’s the little matter of a few trivial details that the recruiting agency forgot to mention—such as the fact that the two previous holders of the fellowship both met with mysterious ends. From there it’s all downhill. Gideon finds himself the target in an unfamiliar game for which no one has bothered to give him the rules. What he does have, however, is his own considerable intellect and his remarkable forensic skills. He will need them, for he is playing for some fairly high stakes. The security of Western Europe . . . And his own life. 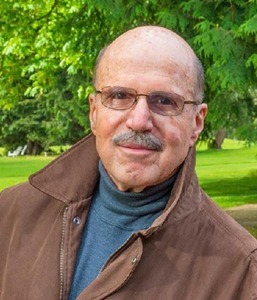 Confessions of a Mystery Novelist..
With a curse that echoed weirdly through the dripping forest, Eckert sat heavily down on a spongy, moss-covered log. Deep in the primeval rainforest of Washington State’s Olympic Peninsula, the skeletal remains of a murdered man are discovered. 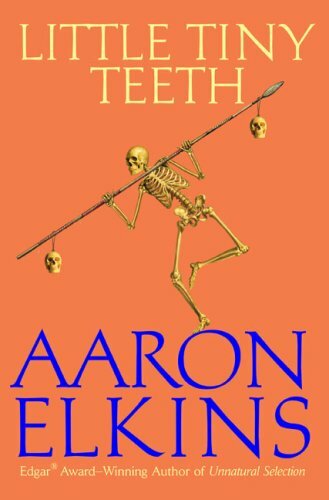 And a strange, unsettling tale begins to unfold, for forensic anthropologist Gideon Oliver determines that the murder weapon was a primitive bone spear of a type not seen for the last ten thousand years. And whoever—or whatever—hurled it did so with seemingly superhuman force. Bigfoot “sightings” immediately crop up, but Gideon isn’t buying them. But something is continuing to kill people, and Gideon, helped by forest ranger Julie Tendler and FBI special agent John Lau, plunges into the dark heart of an unexplored wilderness to uncover the bizarre, astonishing explanation. Edward Hall-Waddington, O.B.E., M.A., Ph.D., F.S.A., ran his hand nervously over a pink and liver-spotted pate, absently brushing back a lock of hair that had been gone for almost forty years. Diamonds? Definitely. Cash? Certainly. But why would anyone steal a 30,000-year-old skull from its case in a British museum? Anthropologist Gideon Oliver, although honeymooning in Britain with his new wife, decides to find out…..
Just as soon as the couple checks into the Queens Armes, a cozy inn in scenic, seaside Dorchester, Gideon senses something fishy about a nearby archeology dig. An old colleague has promised to unearth a magnificent find about the Bronze Age. But what turns up is a mysterious, battered body. They need Gideon’s forensic skills to find the victim’s identity- and a vital clue about the killer. Now, in place of romance and roses, Gideon and Julie are surrounded by danger- and could very well be drawn into the sinister shadows of a villain’s black design…. So still and silent was the fog-wreathed form that it might have been an angular, black boulder. “Something has come up that may interest you, Dr. Oliver…” A French inspector has a mystery for Gideon Oliver that can turn a dull conference into a chilling murder investigation. A pile of human bones has been unearthed in the dank cellar of the ancient du Rocher estate on the isle of Mont St. Michel…a perfect case for the famous American “skeleton detective”. What Gideon deduces is macabre: a shocking crime had been committed over forty years before, one that may be connected to the drowning of the eldest du Rocher just days ago. The great forensic scientist believes a scorched Nazi uniform also buried beneath the cellar stones and a love affair hidden for decades may provide clues, but he must hurry. The storm tides of the famous island are rising again, sweeping him into a vortex of turbulent passions- and death. “I can’t understand it”, Julie said, lifting a dog-eared pile of term papers and theses from the chair at the side of the desk. Mayan ruins in the Yucatán…a secret room in a tomb…age-old skeletons. To anthropologist Gideon Oliver, the renowned Skeleton Detective, the invitation to join the archaeological excavation of Tlaloc promises two months of paradise on earth. That is, until an ancient series of Mayan curses against desecrators of the site is unearthed. When the first one comes to pass (“The bloodsucking kinkajou will come freely among them”), it’s taken by all as a practical joke. But by the time the fourth one is apparently consummated (“The one called Xecotcavach will pierce their skulls so that their brains spill onto the earth”), nerves have begun to fray and suspicions and discord to mount. The steamy jungles weigh down upon the band of eccentric anthropologists as one by one the curses continue to materialize. It takes Gideon’s special talents for deduction—along with the enigmatic insights of Mexico’s one and only Mayan-Indian inspector of the state judicial police—to resolve an ancient riddle and a modern, murderous mystery. Four scientists are believed dead in an avalanche near the foot of John Hopkins Inlet in the northeastern arm of Glacier Bay, Alaska. Gideon Oliver expects to be amicably bored when he takes on the role of “accompanying spouse” at a lodge in the magnificent wild country of Glacier Bay, Alaska, where his forest ranger wife Julie is attending a conference. But it turns out to be exactly his cup of tea. There is another group at the lodge: six scientists on a memorial journey to the site of a thirty-year-old glacial avalanche that killed three of their colleagues. Their leader is TV’s most popular science personality, the unctuous M. Audley Tremaine, who is the sole survivor of the fatal avalanche. But he doesn’t survive long, and is soon found hanged in his room. If that isn’t upsetting enough, shocked hikers discover human bones emerging from the foot of the glacier—are they the shattered remains of the three who died, finally seeing daylight after their two-mile. three-decade journey within the glacial flow? When the FBI seek expert help, everyone agrees how fortunate it is that Dr. Oliver, the famed Skeleton Detective, is on the scene. Everybody, that is, but the person who wants ancient history to stay that way—and who believes that murder is the surest way to keep the past buried. From: Miranda Glass, Curator of Anthropology, Central Oregon Museum of Natural History. There isn’t much left of the irascible Albert Evan Jasper, “dean of American forensic anthropologists,” after his demise in a fiery car crash. But in accord with his wishes, his remains—a few charred bits of bone—are installed in an Oregon museum to create a fascinating if macabre exhibit. All agree that it’s a fitting end for a great forensic scientist–until what’s left of him disappears in the midst of the bi-annual meeting (aka the “bone bash and weenie roast”) of the august WAFA—the Western Association of Forensic Anthropologists—in nearby Bend, Oregon. Like his fellow attendees, Gideon Oliver—the Skeleton Detective–is baffled. Only the WAFA attendees could possibly have made off with the remains, but who in the world would steal something like that? And why? All had an opportunity, but who had a motive? Soon enough, the discovery of another body in a nearby shallow grave will bring to the fore a deeper, more urgent mystery, and when one of the current attendees is found dead in his cabin, all hell breaks loose. Gideon Oliver is now faced with the most difficult challenge of his career—unmasking a dangerous, brilliant killer who knows every bit as much about forensic science as he does. 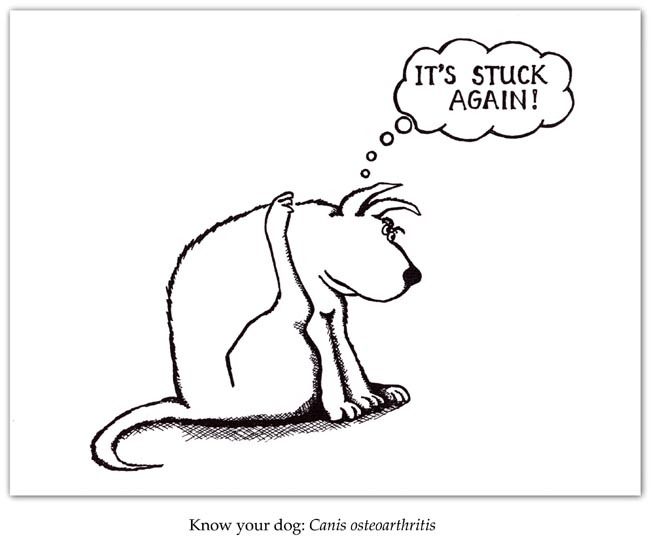 Or almost. “All right, then, explain Drbal’s Phenomenon,” Bruno Gustafson demanded. An ancient skeleton tossed in a garbage dump is the first conundrum to rattle Gideon Oliver when he arrives in Egypt. There to appear in a documentary film, he expects an undemanding week of movie star treatment and a luxurious cruise up the Nile with his wife Julie. But when Gideon discovers a tantalizing secret in the discarded bones-and violence claims a famous Egyptologist’s life-he is thrust into a spotlight of a different kind. 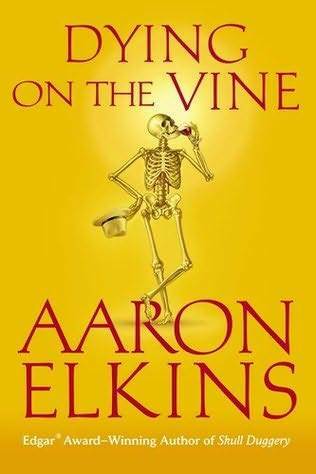 Plying his calipers as the world’s foremost forensic anthropologist, Gideon’s investigation of the goings-on leads him through the back alleys and bazaars of Cairo and deep into the millennia-old tombs of the Valley of the Kings. As the puzzle is painstakingly pieced together, Gideon will find that the identifying traits of a cunning killer are the same now as they were in the time of the pyramids: greed without guilt, lies without conscience…and murder without remorse. Last year me and my husband visited Hawaii for our 20th anniversary and stayed overnight in the Volcanoe House. The dead man is the manager of Tahiti’s Paradise Coffee Plantation, producer of the most expensive coffee bean in the world, the winey, luscious Blue Devil. Nothing tangible points to foul play behind his fall from a cliff, but FBI agent John Lau, a relative of the coffee-growing family, has his suspicions. 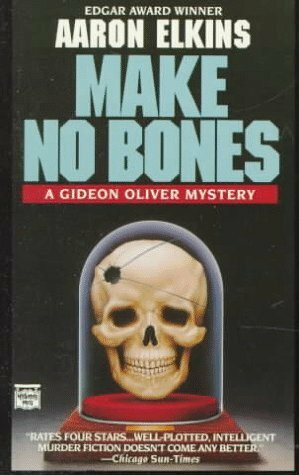 What he needs is evidence, and who better to provide it than his friend, anthropologist Gideon Oliver, the Skeleton Detective? Gideon is willing to help, but surprisingly—and suspiciously—both the police and the other family members refuse to okay an exhumation order. 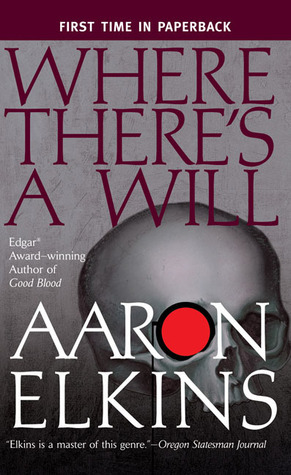 As a result, Gideon, to his surprise and against his better judgment, finds himself sneaking into a graveyard under cover of night with John, a flashlight, and a shovel—not exactly up to the professional standards of the world’s most famous forensic anthropologist, but necessary under the circumstances. Gideon prefers his bones ancient, dry, and dusty, but the body he must examine had lain in the tropical sun for a week before it was found, and then buried native-style—shallowly, with no casket—so it is not exactly his…well, cup of tea. But it’s not the state of the remains that bothers him the most, it’s the deeper human ugliness that his examination uncovers: subtle clues that do indeed point to foul play, to mistaken identity, and to a murderous conspiracy that may have percolated through the family for decades—and brewed a taste for murder. Once, the thing in the cave had been a man, but that had been long ago. Les-Eyzies-de-Tayac is known for three things: pâté de fois gras, truffles, and prehistoric remains. The little village, in fact, is the headquarters of the prestigious Institute de Préhistoire, which studies the abundant local fossils. 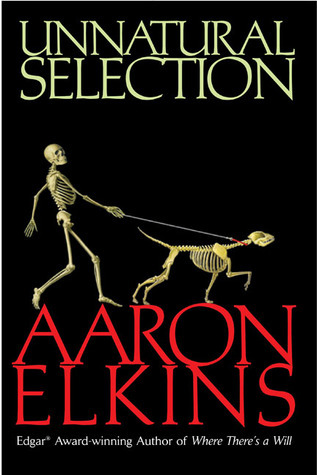 But when a pet dog emerges from a nearby cave carrying parts of a human skeleton—by no means a fossilized one—Chief Inspector Lucien Anatole Joly puts in a call to his old friend, Gideon Oliver, the famed “Skeleton Detective.” Once Gideon arrives, murder piles on murder, puzzle on puzzle, and twist follows twist in a series of unexpected events that threaten to tear the once-sober, dignified Institute apart. It takes a bizarre and startling forensic breakthrough by Gideon to bring to an end a trail of deception thirty-five thousand years in the making. Domenico de Grazia was a gentleman of the old school, a fine and courtly patrician, a man of breeding, poised and self-assured. 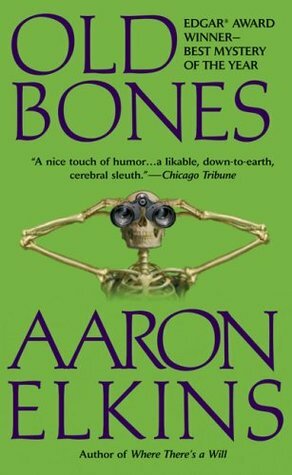 What was supposed to be an Italian vacation for forensic anthropologist Gideon Oliver and his wife turns into a busman’s holiday when their hosts’ only child goes missing–and nearby construction workers unearth human bones. The family awaits Oliver’s conclusions with both dread and cautious hope. But along the way, he’ll expose some extraordinary deceptions that lay bare the long-hidden secrets at the dark heart of a highborn family. Silence, as sudden as a stopped heart. Alex Torkelsson has just gotten word: after going missing ten years ago, Alex’s late uncle Magnus’s plane has been found south of Hawaii’s Big Island. So too have Magnus’s few skeletal remains, now handed over to the only man who can fit together the pieces of this mystery. But what forensic detective Gideon Oliver discovers could shake the Torkelsson family tree. For six days and night she had roamed, feverish and disoriented, drinking little and eating next to nothing. Forensics professor Gideon Oliver accompanies his wife to the Isles of Scilly, which dot the sea like an emerald necklace thirty miles off the Cornwall coast. Julie’s been invited here by Russian expatriate Vasily Kozlov, scientist, millionaire, and eccentric. At his home, Star Castle, he regularly hosts a consortium of guests with differing opinions-which makes for some very heated arguments. While Julie’s stuck indoors, Gideon looks forward to puttering around the Neolithic sites nearby. But before day one is through, a newer bone turns up-this tibia is only a few years old-and all signs point to murder. And just as Gideon and the local law puzzle over the bone’s origin, another murder happens at Star Castle. Could it just be bad luck, two murders within a couple of years? Or do Kozlov’s lively debates have a way of turning deadly? They knew, being Chayacuros, that the waking world, the world we think we see, is nothing but an illusion. When forensics professor Gideon Oliver joins an Amazon riverboat expedition with a group of research botanists, he expects a nice vacation. What he gets is heat, corrupt officials, dangerous insects and animals-and worse. As they travel upriver, one of the botanists is killed by a deranged passenger who leaps overboard and flees into the darkness. No one can explain why. Theories begin to simmer, and stories of long-past, half-forgotten grudges-and new ones as well-boil to the surface. Only when a fresh skeleton turns up in the river, scoured to the bone by voracious piranhas, does Gideon realize that in this jungle full of predators, humans may be the deadliest of all. The annual conference of International Paleoanthropological Society isn’t usually associated with pulse-pounding levels of excitement, other than in some more remote halls of academe, but next month’s meeting in Gibraltar promises something different. Around 25,000 years ago, did the Neanderthal live peacefully with his smarter, handsomer cousin, the Homo sapiens? The answer, recently found in the Rock of Gibraltar, left everyone speechless. Buried ceremoniously, high in a cave, lies the skeleton of a human woman, clutching the skeleton of a part-human, part-Neanderthal child. Fascinated, Professor Oliver jumps at the chance to attend a conference near there. But two deaths, possibly murders, have rocked Gibraltar. As Oliver tries to piece things together, he’s about to fall for some deadly tricks. After all, unlike the Gibraltar Boy, he’s only human. Not for nothing had Flaviano Sandoval been the village police chief for almost six months now. Gideon and his wife are on vacation in Mexico when a local police chief requests his assistance on a case. A mummified corpse was discovered in the desert and the coroner believed the victim was shot. But Gideon’s examination reveals the victim was stabbed with a Phillips-head screwdriver. 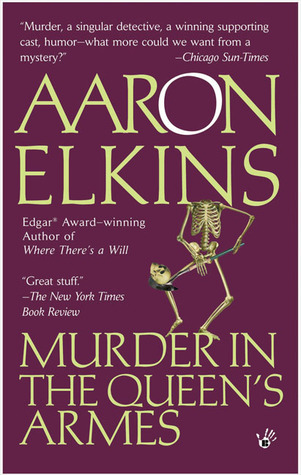 Then Gideon is asked to examine the skeleton of a murder victim found a year earlier-only to discover another error. The coroner misidentified the remains as belonging to a twelve to fifteen-year-old girl, when in fact the remains were that of a young woman of twenty. Gideon knows these two “mistakenly” identified bodies aren’t a coincidence. But finding the connection between them will prove more dangerous than he could possibly imagine- and place him into the crosshairs of the killer he’s hunting. It had long been the unvarying custom of Pietro Cubbiddu, following that his father back in Sardinia, to take a mese sabatico, a solitary, month long sabbatical each fall, at the conclusion of the arduous September grape crush. Many series are being made into movies or television programs. ABC aired a TV series in 1989 entitled "Gideon Oliver" and is based off of the character Gideon Oliver. 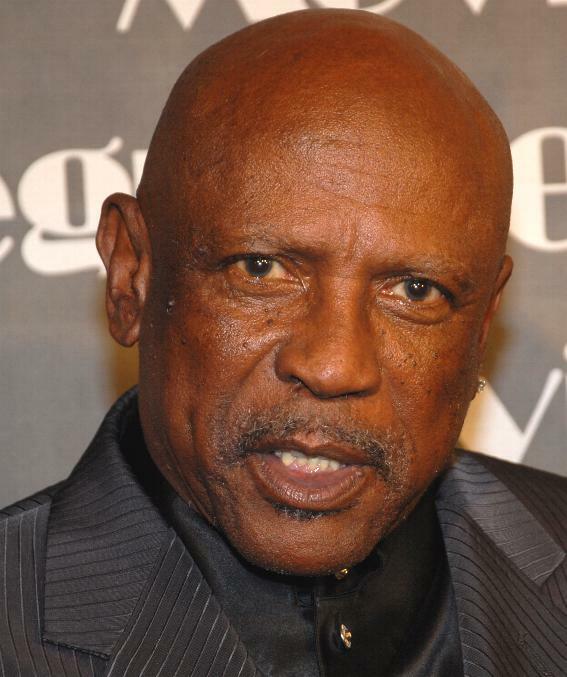 The show stared Louis Gossett Jr. as Gideon Oliver. If you are like me, you probably imagine who you would like to play the lead role. So who would you pick to play Gideon? 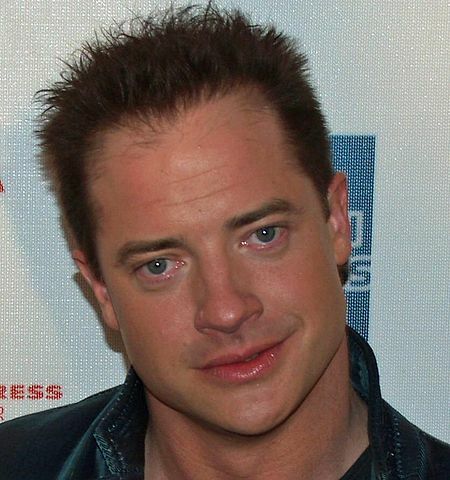 My pick would be Brendon Fraser.